Sasha Carswell Bocock began her legal career with the firm as an attorney in 2006 after graduating with honors from North Carolina Central University School of Law. Sasha had a brief absence from our firm when she and her family relocated to Greenville, North Carolina, where her husband attended Brody School of Medicine. 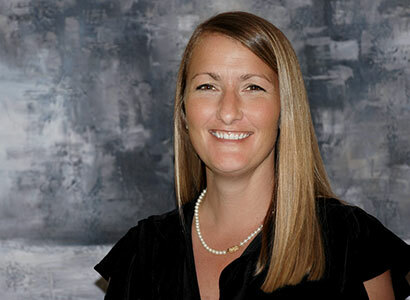 While in Greenville, Sasha opened her own law firm, where she devoted her practice to family law. Sasha and her family recently returned to the Triangle, and Sasha rejoined Ward Family Law Group in July, 2014. From her prior experiences here in the Triangle as well as her practice in Greenville, Sasha has extensive knowledge and expertise in all family law matters. While in law school, Sasha was a member of the National Trial Advocacy Team and also was awarded First Place in the prestigious Willie Gary 3L Trial Advocacy Competition at North Carolina Central School of Law. Sasha has continued to sharpen her trial advocacy skills over the past eight years of her family law practice, and she is a respected and effective litigator. In addition to her skills as a litigator, a considerable part of Sasha’s practice is devoted to helping clients resolve their disputes outside of court through negotiation, mediation or arbitration. In 2012, Sasha authored the article, A Closer Look at Underwood v. Underwood; Lessons in Drafting Non-Modifiable Support Provisions in Consent Judgments in Family Forum, published by the Family Section of the North Carolina Bar Association. Prior to attending law school, Sasha completed her undergraduate degree in Psychology at the University of North Carolina-Chapel Hill and worked as an investigator in the Child Protective Services division of the Lincoln County Department of Social Services. It was Sasha’s experience at the Department of Social Services that led her to return to law school so that she could become an advocate for families. Sasha’s background with child protective services makes her especially equipped to handle high-conflict custody cases and other matters where there are allegations of abuse and neglect of children.